One of the trickiest aspects of Indian fashion is the careful maintenance required for all types of clothes. In the Indian sub-continent, you can find an awe-inspiring treasure trove of beautiful textiles and delicate embroidery styles. Many of these are very finely woven and intricately designed, which, besides infinitely adding to their beauty, require a certain amount of special maintenance. 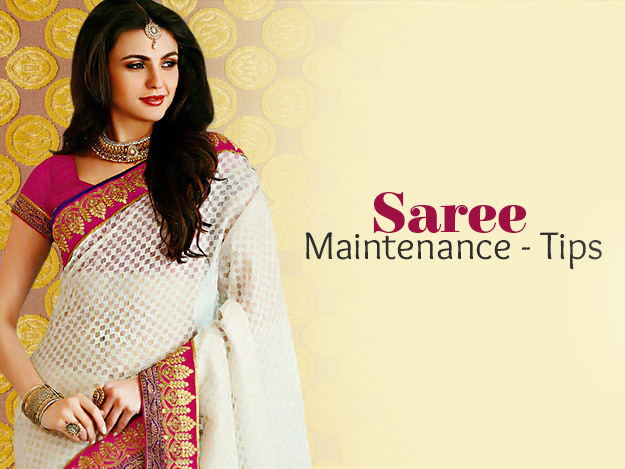 Saree maintenance is one of the most crucial aspects of ethnic fashion. It is a tough nut to crack for both novices and longtime wearers. 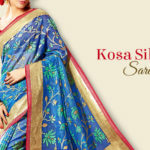 Sarees are an elegant and unique garment of Indian sub-continent, worn in regular, day to day life and special occasions. It has become a popular garment in international fashion circles as well. Many fashionistas may be attracted to this beautiful Indian garment but may not exactly know how to deal with the maintenance aspect. It is actually quite easy if you strictly adhere to certain vital guidelines. The first step is to understand the type of saree at hand. There are many different types of textiles and design styles in India, many of which require special care. 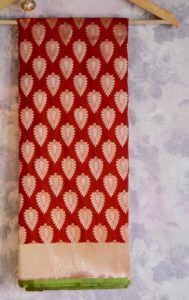 When purchasing an Indian sari, it is important to find out the details of the material and the designs on it. Saree dry cleaning is the only option for garments that are made of delicately embroidered and embellished materials, or thick brocade fabrics. On the other hand, saree washing at home can be done for the majority of plain saris made with fabrics like silk, cotton, chiffon and georgette. It is also important to understand the distinction between pure, blended and faux fabrics. Typically, faux versions of georgette, chiffon, crepe and silk are easier to maintain and don’t require the same amount of meticulous care as pure fabrics. They are pretty low maintenance and don’t need to be dry cleaned, the way pure fabrics almost always have to be. 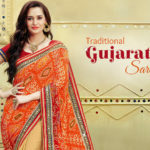 The same goes for saris made from silk-cotton blends, which will have a different, usually easier, set of maintenance rules than those made of pure, woven silks and brocades as well as chiffon and georgette. 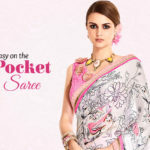 A silk saree is one of the most beautiful and coveted ethnic garments, but many people purchase it without knowing how to maintain silk sarees. To maintain its innate glory and beauty, women must know how to wash silk sarees and the process to iron and store them. At every stage, the silk fabric necessitates protection from extreme temperatures and sunlight. This shields the brightness of the hues on the garment and impedes unraveling of the fabric. For those who are wondering how to wash silk sarees at home, the answer involves a certain amount of care and detailed attention. 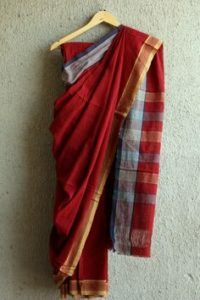 For the first three washes, it is best to use nothing more than plain, cold water to gently wash the separate parts of the saree (pallu, body and borders). After that, you can use a a protein shampoo to feed the protein content in the garment. Avoid warm water, sunlight and any rough handling as this will fade the saree and reduce the beauty of the silk. Also, avoid applying undue pressure; handle the sari gently to prevent threads from unraveling. Dry the saree immediately (but not in direct sunlight) and do not keep it in damp bundles for long periods of times. Use a medium heat steam iron to gently remove creases. Many people also wonder how to dry clean a saree at home. Dry cleaning is done using certain solvents or chemicals that don’t affect the fabric like water. They clean away stains and leave the cloth fresh and clean. If this process is done at home, one has to be very careful as these chemicals can be dangerous if not handled in the right manner. In fact, it is always better to outsource the dry cleaning to an expert. It is not very difficult to understand how to maintain cotton sarees. The main problem here is that in the ordinary way, cotton sarees easily lose the brightness and colorful look. To avoid this, the first time the sari is washed, one should soak it in warm water with rock salt for about 10-15 minutes. This locks the hues inside and prevents them from fading away in subsequent washes. For those wondering how to wash cotton sarees beyond the first time, simply use warm water with special soap nuts that release substances that prevent the color from fading. Both silk and cotton sarees should be carefully stored in a cool, dry place. Hang up silk sarees to prevent the material from tearing. Keep them wrapped in muslin cloths and leave some space between each saree. You can fold cotton sarees, but only after they are fully dried. 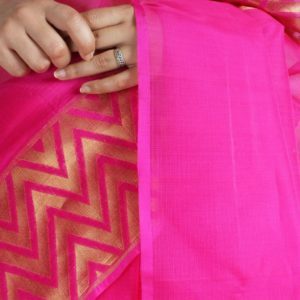 Nowadays there are many time and effort saving maintenance products, which can be used to keep sarees looking fresh and new, year after year. Products like soap nuts, protein detergents, chemical-free detergents and natural moth balls are all great investments pertaining to saree maintenance. 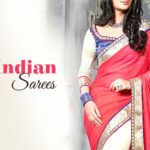 You can use them for maintaining fancy, party-wear sarees and simple, every-day wear sarees. Such products are organic and specially designed to prevent fading and to retain the strength and resilience of the fabric.